My first impressions were quite positive for this affordable $50 tent. My intended use was 3+ season car camping and this tent fit the bill. At first glance the tent and fly seemed to be descent quality. 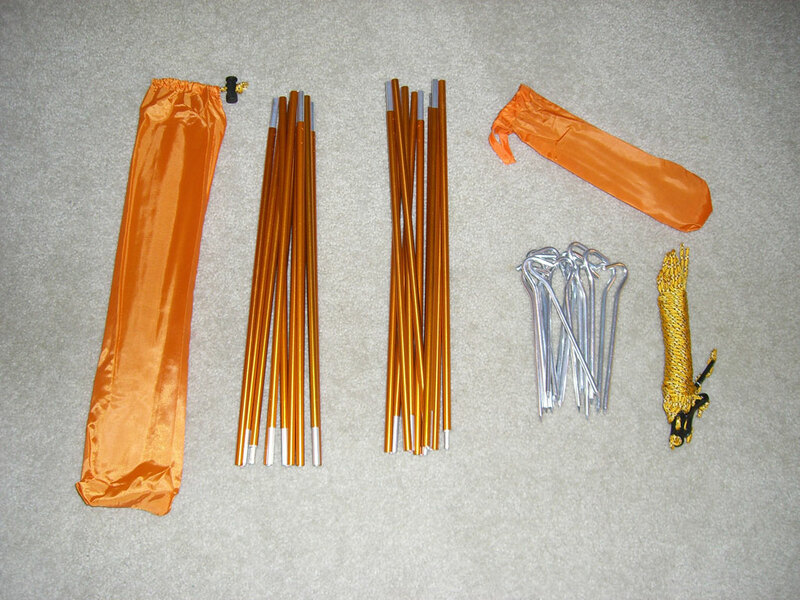 I was surprised that the storage sack had compression straps and a separate spot for the aluminum poles. 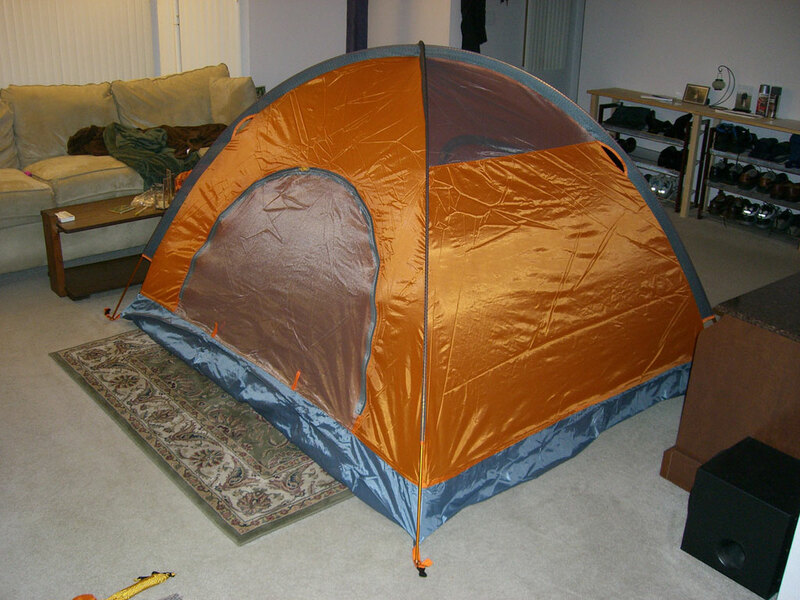 The floor felt more durable than any other backpacking tent I have used. My only trip with the tent was an early winter camping trip with about 6 inches of snow on the ground. This Arctic Wolf tent was easy to set up. The two poles are simply fed through the pole sleeves (no quick clips on this tent) and inserted into the grommets at the corners. After staking the four corners, the fly is draped over the tent body and attached via quick release buckles at each corner. Finally, the fly is staked out and optional guylines can be attached and staked as well. Wind was not a concern on my trip, so I did not use the guylines. There was plenty of room for just myself and an inflatable twin mattress. Two people would comfortably fit, but 3 is pushing it. The zippers on the fly and tent functioned great without any snags. The vestibules provide enough space for a small to medium-sized backpack and a place to take shoes off before entering the tent. I was quite comfortable. 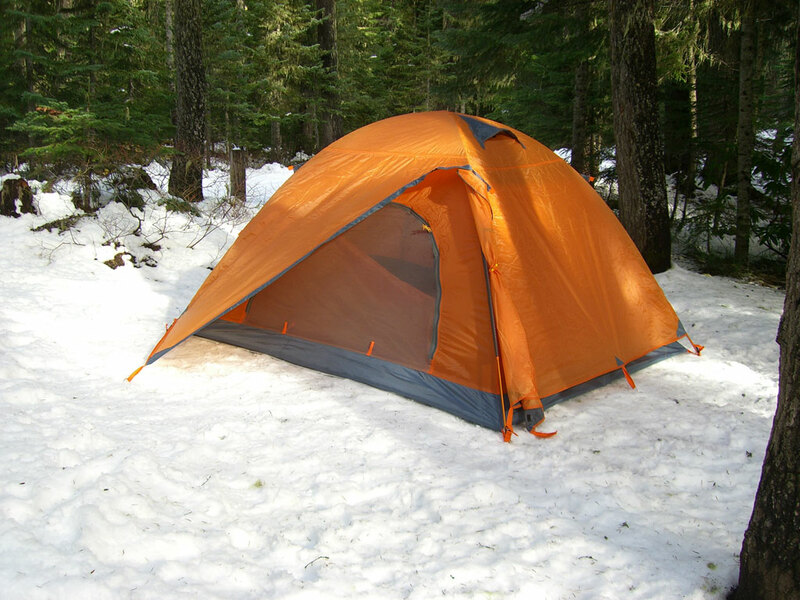 Like any tent, in colder conditions condensation can be a problem. I had the two fly vents open and the door vents in the tent shut. The tent roof vents are always open. This combination worked okay, but there was still condensation on the inside of the tent and fly. I expected this in the 33°F rainy conditions I camped in, so this is no fault of the tent. Other than the mild condensation, everything remained dry. In windy conditions the tent should be positioned so the fly vents are facing into the wind as rain or snow can be blown in (the vents could also be closed of course). After the tent was set up, I began to notice some quality issues. The seam on the fly edging was placed too close to the edge of the fly fabric. I could see the edging pulling away from the body of the fly. Luckily everything held up fine on my one night trip. However, when I got home and was drying out the tent, I noticed the edging had come loose on a six-inch section of the fly. The tent was purchased from amazon.com, so I was able to return it at their expense for a full refund. 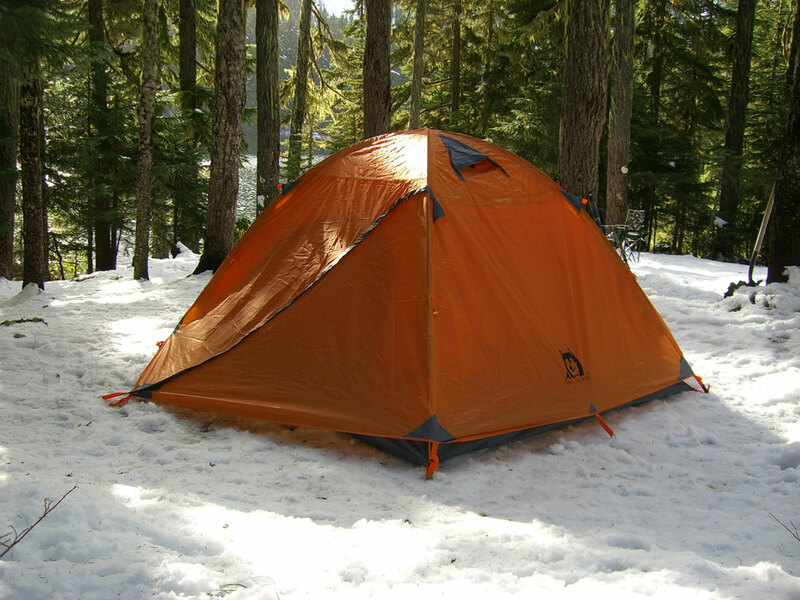 See "Snow Camping At Hideaway Lake"adventure where this tent was used. This Arctic Wolf tent has the potential to be a good value, but I have concerns about its long term quality. The issues I saw with the fly may be isolated or an indication of the overall quality. I may purchase another one this summer, but only right before a trip, so I can return again if any quality issues arise. 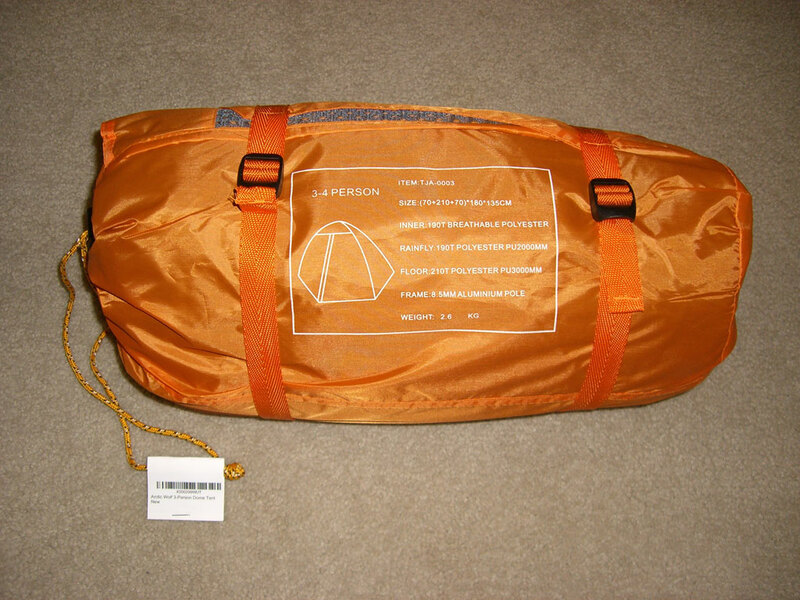 The fabric itself seems quite durable, so I still have hope for this tent. I tentatively recommend this tent for those looking for a budget value tent with great features as long as your purchase is returnable. Be sure to watch the price as I have seen it fluctuate at amazon.com from $45.99 to over $100.